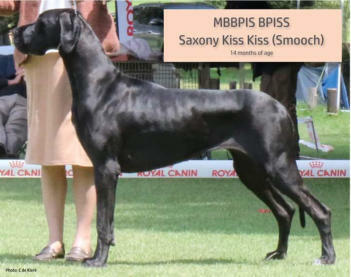 • Sire : Ch Gaitewai Tai-Shan A2/A2 ED00 • Dam: Saxony In Short Supply B1/B1 ED00 Our precious Smoochie has had a phenomenal show career and she displayed this by exceeding our wildest expectations by winning Best Baby Puppy in Show at all three shows on her debut weekend at the tender age of 5 months. 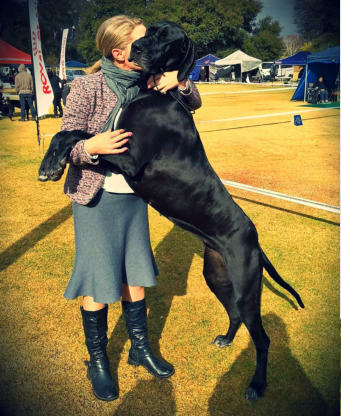 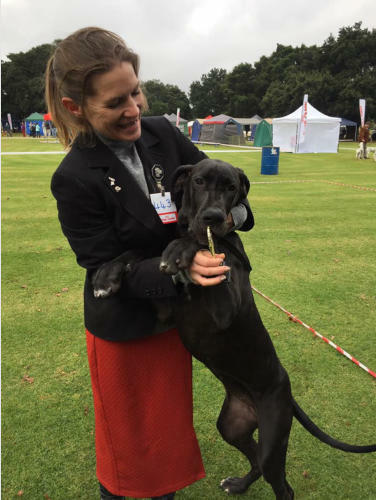 She is the first Dane in SA to have a Junior Merit accolade and gained her Champion points in record time. 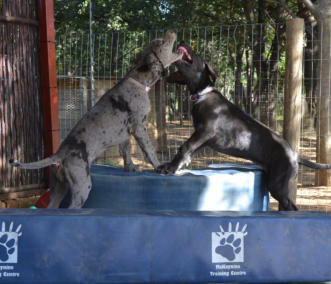 She’s a big strong girl with a lovely elegance and flair, who simply adores her “big” sister Joanie. 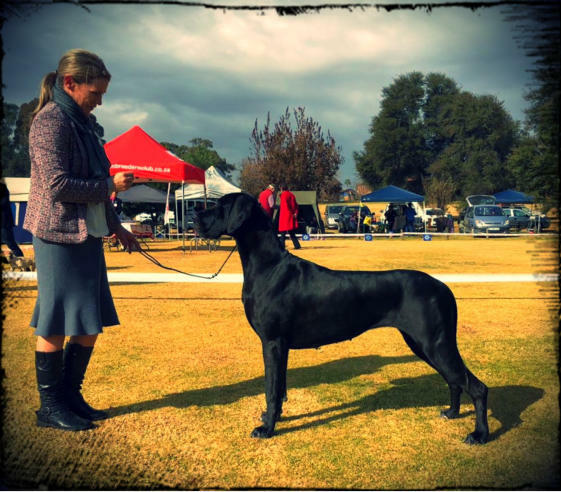 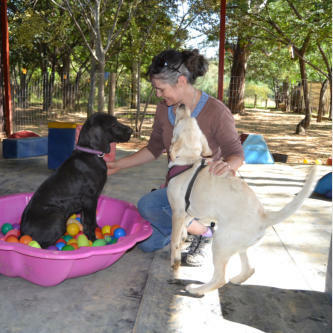 A massive thank you to Alta Wait of Gaitewai Great Danes for making this entire litter a possibility!